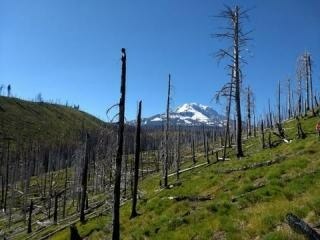 A new study, co-authored by a Portland State University (PSU) professor, shows that a warmer, drier climate is anticipated to increase the possibility of larger-scale disturbances in forests, for example, wildfires, disease, drought, and insect outbreaks. Reported in the journal Nature Communications, the study attempted to give a more detailed picture of the disturbances in the global temperate forests by measuring the shape, size, and prevalence of disturbances and interpreting their drivers. Scientists examined 50 protected areas like national parks and also their immediate surroundings, which enabled them to compare disturbances within the protected regions that are more related to climate from those just outside that might also be influenced by the use of land by humans. The study also discovered that while a number of temperate forests are controlled by small-scale disturbance events—driven mostly by cooler, wetter conditions and windstorms—a strong link also exists between warmer, drier-than-average climate conditions and high disturbance activity. According to Andrés Holz, a co-author and geography professor in PSU's College of Liberal Arts and Sciences, this discovery indicates that a warming climate can potentially lead to larger and more severe disturbances in certain temperate forests, such as the western U.S. Under the warmer conditions we have been seeing, it is likely that we're going to see a higher probability of areas that tend to have very big disturbances. Areas that had large disturbance activity were mostly correlated with drought, bark beetle outbreaks, and wildfires under warmer and drier conditions, while areas that had low disturbance activity were mostly correlated with windstorms under cooler and rainy conditions. In many landscapes beyond the protected areas, disturbance patches were observed to be usually larger and less complicated in shape when compared to the protected areas. For instance, logging and other man-made disturbances are simpler in shape in contrast to the path that might be taken by a storm, wildfire, or insect outbreak within a protected area. However, in landscapes that were impacted by large-scale outbreaks or fires, the size and complexity of what occurs within the protected areas are actually more similar. Climate change is mimicking the footprint of disturbances in protected areas to what we are doing through land-use change outside of protected areas. Under warmer conditions, we might see more similarities between protected areas and their surroundings in some temperate forests globally. Andrés Holz, Study Co-Author and Geography Professor, Portland State University.